Well for you we have made Theory of price a very easy for understanding. Generally it is considered as the study of prices of goods and services and how the effect of prices of goods and services impacts the demand and supply relationship. This theory of price mainly focuses on the entity can gain the maximization by the supply and the demand of the products. The maximum profit will be achieved at the point when the demand of the consumers got satisfied with the marginal cost of the seller (Balk, 2013). In general terms Theory of price can also be termed as the Price Theory. Further it can be concluded as the microeconomics principles that generally use to determine the price of the products after considering the demand and the supply ratio in the market. From taking the understanding about the equilibrium in the market theory of pricing can be taken into account that how the company can achieve the position of Equilibrium. Equilibrium can be reached when the demand in the market for the goods matches with the supply of goods in the in the market (Boland, 2014). By applying the concept of Equilibrium the adjustment in the price of the products can be made easily as the needs of the market. Explanation for the topic along with example: The market has determined the cost of the widgets at $5. From this it can be concluded that buyers of the widgets can purchase which provides them the utility worth $5 which and they can expand the amount equal to or less than $5 for the purchase of such widget. This is the theory which is considered for determining the price of the individual products on the basis of the principal theory of economics. For taking the understanding of Supply it can elaborate as the products or the markets which can be easily available in the market. Supply generally includes the supply of the physical goods, example: Automobiles or the supply of services such as providing the services of making the appointment of the talented service providers in an entity (Bös, 2014). The supply of products depends on the production of goods. So it can be concluded that supply in market is finite in nature because these are dependable on the demand of the product in the market. And generally the demand generates in the market when the desires for purchase of product developed in the market. Demand can raise either in the tangible or intangible form in the market. Demand of the product may get fluctuated due to various factors which include the need of the products in the life of consumers, and sometime the change in the taste of the consumers also changed over the period of time. Demand in the market also gets influenced with the purchasing ability of the consumers. The situation of equilibrium will be achieved when the price is located at the point at which both consumers and producers get some benefit (Bös, 2015). The situation in the market when the demand of the consumers equally got matched with the supply by the organization in the market is termed as the Equilibrium. In the situation when the prices if the products rises highly that customer avoids to purchase such goods or the services results in over supply. On the other hand if the prices are too low that will highly boom the demand in the market but the supply for meeting such demand may not be possible for the organization. 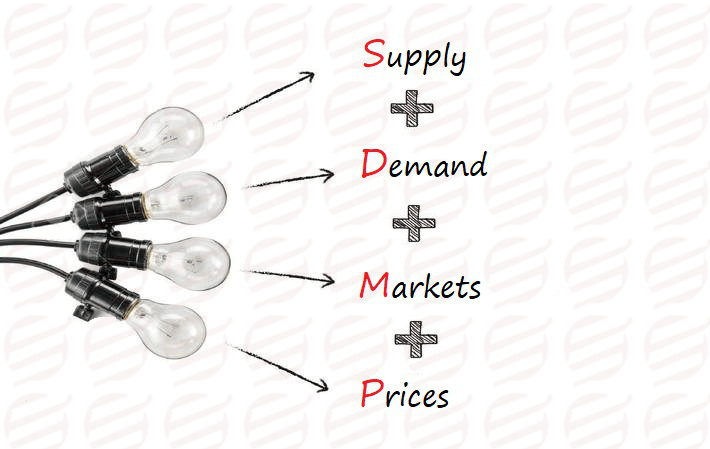 So to solve the given problem of demand and supply economist uses the “Pricing theory “for determining the price of the goods or services in the market which helps in achieving the Equilibrium situation in the market. It generally provides the theoretical analysis for working on the individual basis on the economy. But it is not possible to conclude about the true picture of the economy by analyzing the individual segment of the economy (Friedman, 2017). Every unit in the economy has the complex structure which needs to be explained in detail. By analyzing the pricing theory description about the real world can’t be made. Pricing theory is based on the false assumptions and very limited data. Pricing theory generally provides the overview about small data so the opinion on the realistic basic for the whole economy can’t be made.